The Folk Craft area at this summer’s Lowell Folk Festival focuses on the role apprenticeships have played in helping to sustain traditional art in New England. Below are two master artists and their apprentices that will be sharing a tent in Lucy Larcom Park. We are thankful to our friend and collegeague, Lynn Graton of New Hampshire Folklife for connecting us with these talented craftsmen. Making a beautiful decoy starts with being a keen observer of wildlife, in order to mimic the postures and grace of a variety of wildfowl and songbirds. Skills in carving must be matched by skills in painting. Layers of carefully applied paint help create the sheen and luster of feathers. 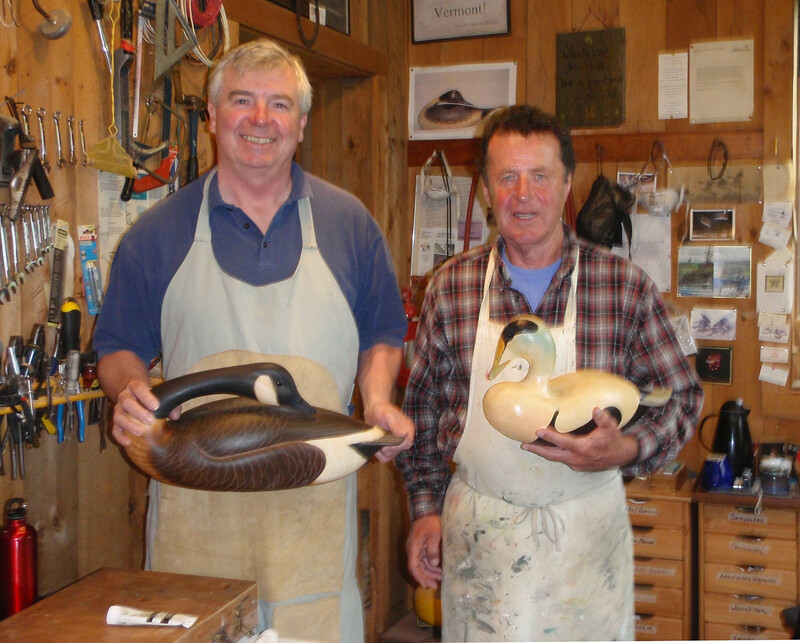 Fred Dolan, of Strafford, New Hampshire,is a nationally recognized wood carver, specializing in waterfowl and songbirds. 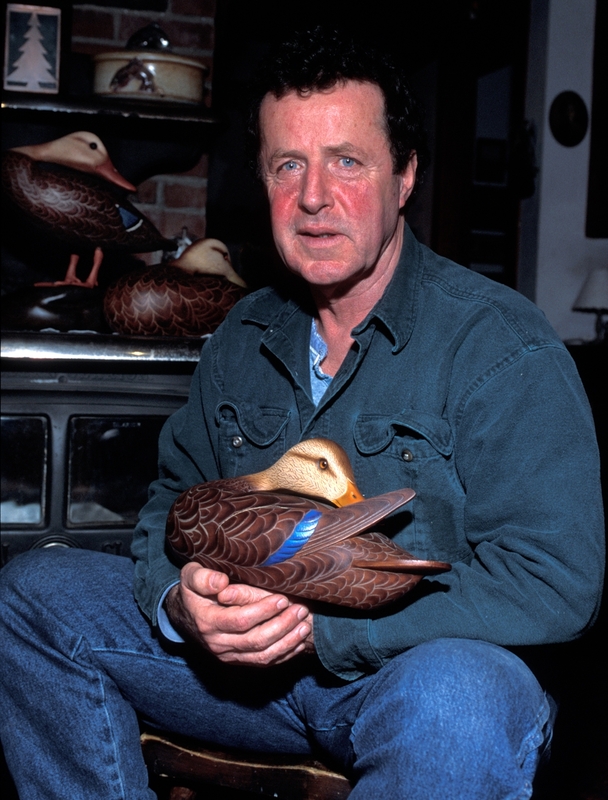 In addition to having studied under master carvers both in New England and in the Chesapeake region, Fred has studied ornithology and worked with New Hampshire Fish and Game officials to band geese as a way of studying the birds at close range. Fred works primarily with cedar, basswood or tupelo wood. He uses a variety of techniques such as combing to simulate wavy lines; stippling to diffuse light and provide texture; airbrush techniques to create iridescent highlights and shadows; as well as hand painting of feather details. Gary Trotter is one of several apprentices Fred has mentored through a Traditional Arts Apprenticeship grant awarded by the New Hampshire State Council on the Arts. Fly fishing has been around for centuries, but the greatest advancements to the tradition were made in19th-century England. Flys are a combination of feathers, fur, and wire to imitate the look, color, wiggle, and silhouette of a bug or bait for fish. 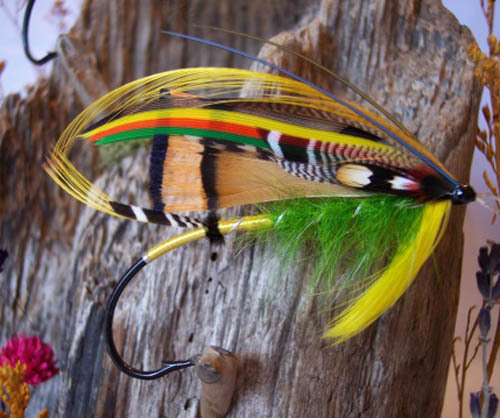 As Lynn Graton writes, “Classic Atlantic salmon flys are considered by many to be the king of the ornamental flys and are collected and displayed for their jewel-like beauty.” With up to 30 or 40 steps and taking several hours to complete, they represent the pinnacle of fly tying art. The distinction between working flys and classic Atlantic salmon flys, with their exotic feathers, is akin to that between working decoys and decorative decoys. As a child, Bob Wyatt watched his father tie Atlantic salmon flys on family fishing vacations in Nova Scotia. 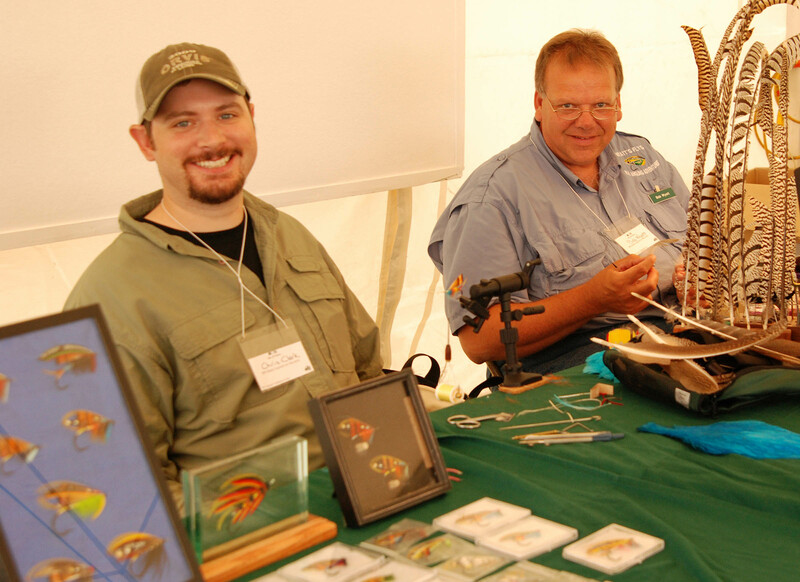 The fly is used to catch “the king of fish,” says Bob, who now preserves fly tying as part of New Hampshire’s outdoor heritage. In 2009, Bob was awarded a grant from the New Hampshire State Council on the Arts to mentor Chris Clark, who runs an outdoor adventure guide business.